Gorgeous and elaborate, this organza table runner is simply stunning. Use it to make a bold statement anywhere in your home. If you are looking for a table runner that is simply exquisite and sophisticated, our Organza Hand Embroidered table runner has it all. 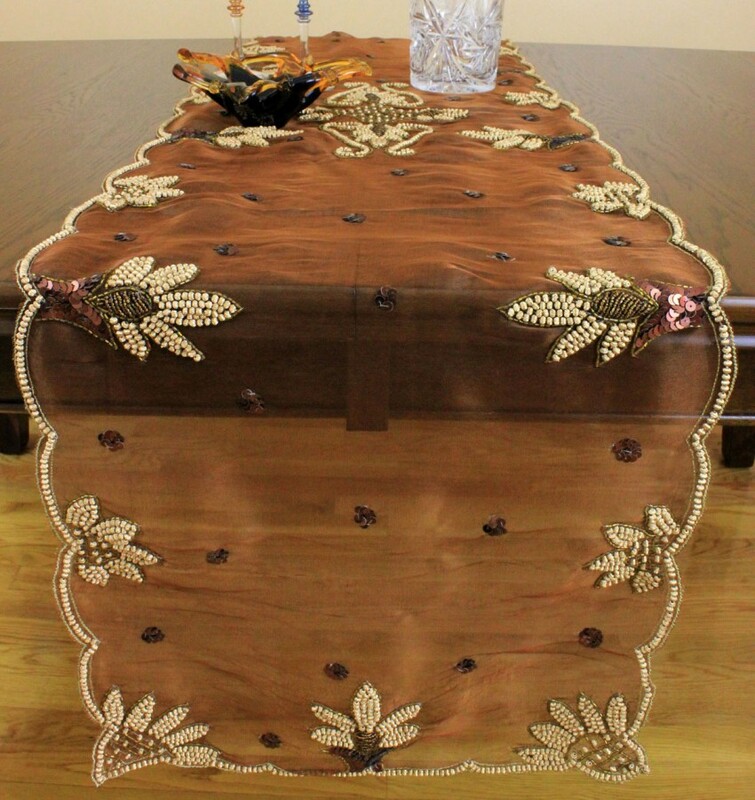 It features translucent, espresso colored organza of the highest quality and gilded hand embroidery and beading. The distinguished gold leaf design is complemented by a beaded, scalloped edge, and a central filigree design. This table runner makes an excellent addition to the stylish, upscale home and is an excellent conversation starter.